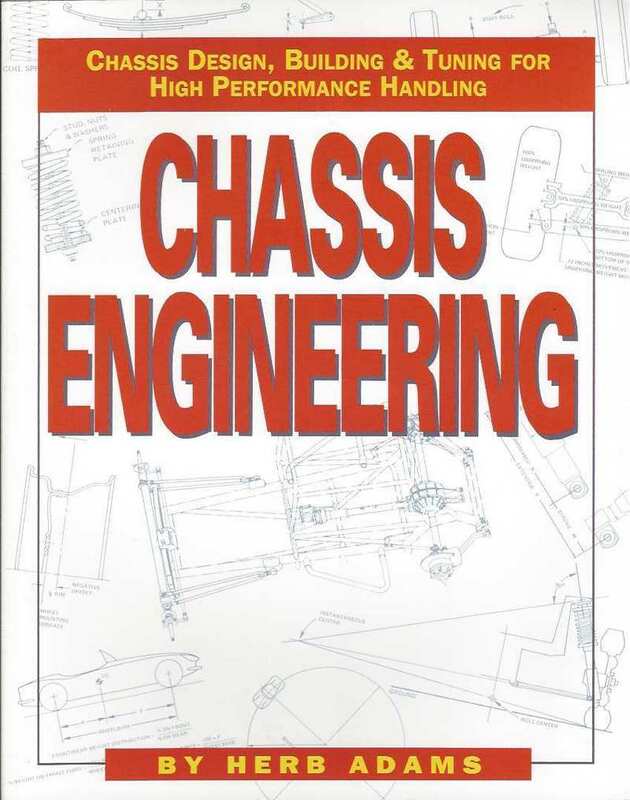 SOLD: SOLD: Chassis Engineering by Herb Adams is a paper back book with 133 pages. 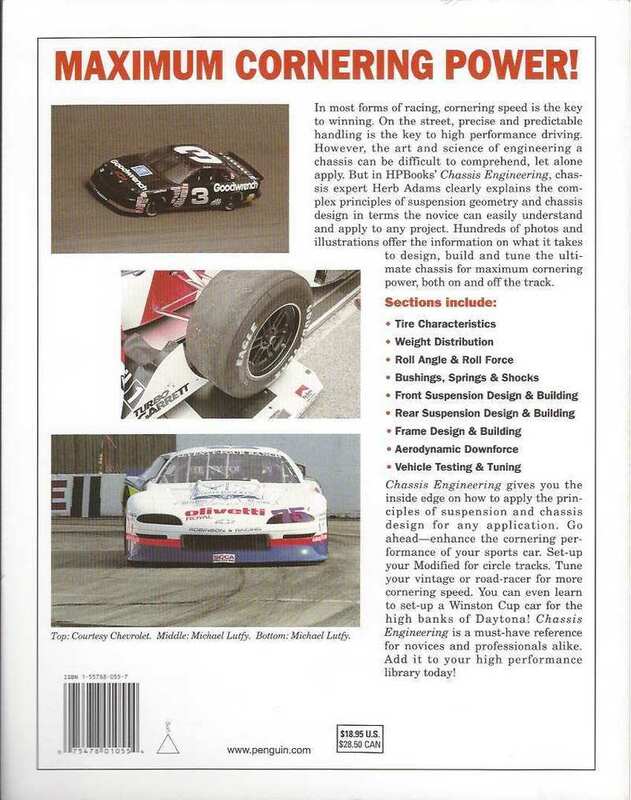 It’s about chassis design, building & tuning for high performance handling. Book has lots of photos and charts. Herb used to be a GM engineer. General contents; 1. Tire characteristics. 2. Weight distribution & dynamics. 3. Roll angle & roll force distribution. 4. Bushings & deflections. 5. Springs & shocks. 6. Types of front suspension. 7. Front suspension design. 8. Building a front suspension. 9. Live axle rear suspension. 10. Independent rear suspension. 11. Building rear suspensions. 12. 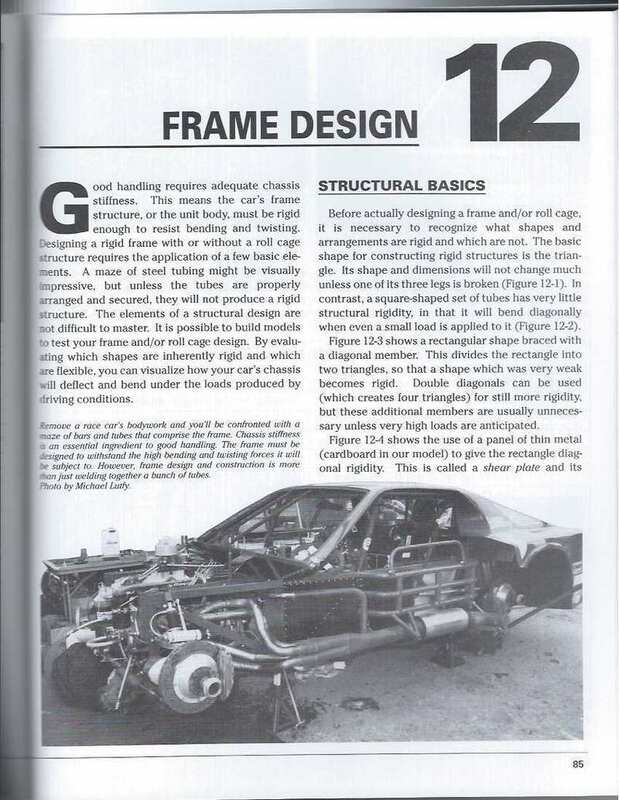 Frame design. 13. Building a frame. 14. Aerodynamic down force. 15. Rotating Inertia. 16. Vehicle testing and tuning. Price is $12, includes USPS media mail shipping to USA addresses. If interested or you have questions send a PM or email me at flash1929@yahoo.com . I accept PayPal or direct payments. Last edited by flash75; 01-15-2014 at 03:57 PM..